I am expert in print design, like booklet, brochure, folder, flyer. Ready to work anytime. "Very patient with several updates and changes we needed done. " 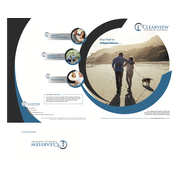 "Great ideas for our brochure that i had not considered. Easy to work with, very responsive to messages and provided the changes quickly. Love the finished product. Thanks and would definitely use DesignSpell again."